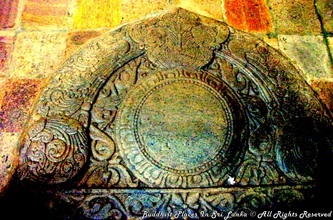 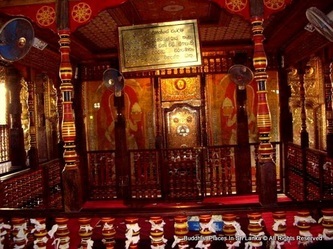 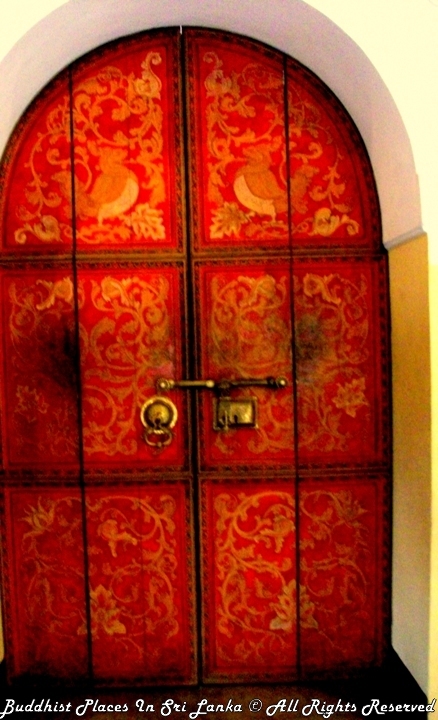 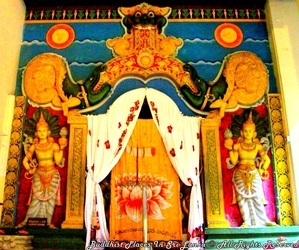 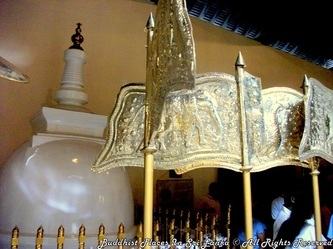 Literary sources indicate that the sacred Tooth Relic was received by king Vimaladharmasuriya I with great veneration and placed in the new three – storied shrine built by him near the royal palace. 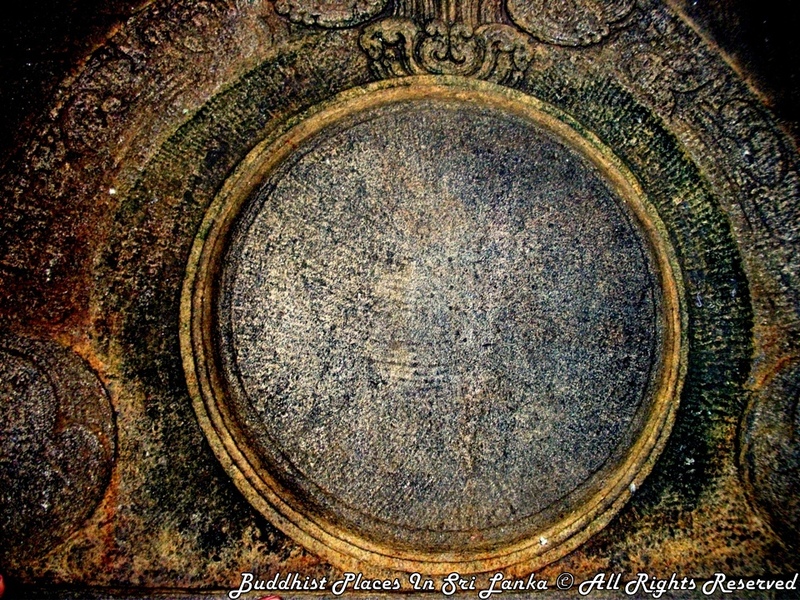 The Dutch Plan of 1765 shows the ground plans of two shrines. 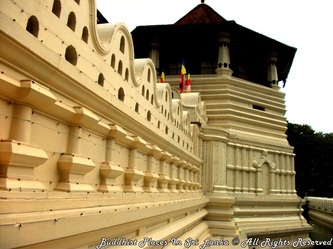 The one at the back should be the original one built by the king. His successor was Senarat (1603 – 1634), a brother of the deceased king had to face severe opposition from the contenders. 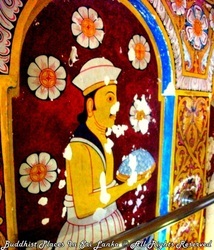 He had to live in such distant places as Mahiyangana. 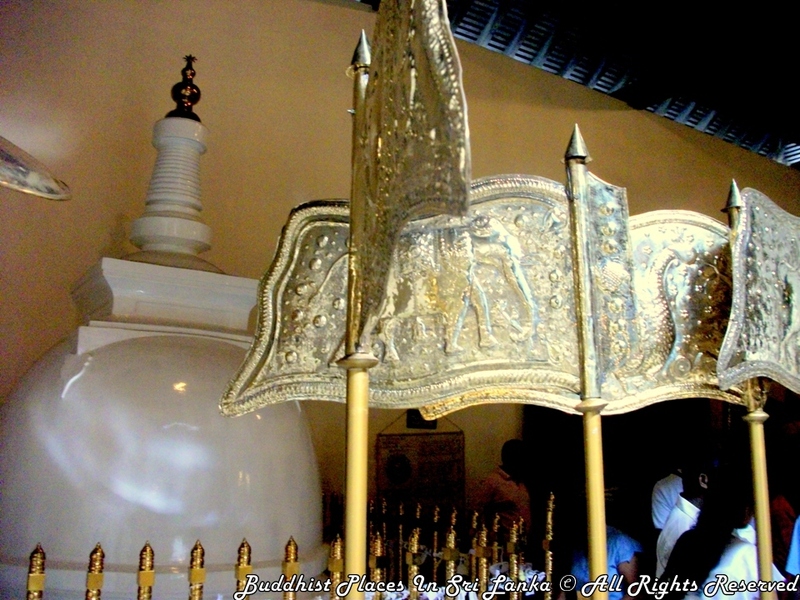 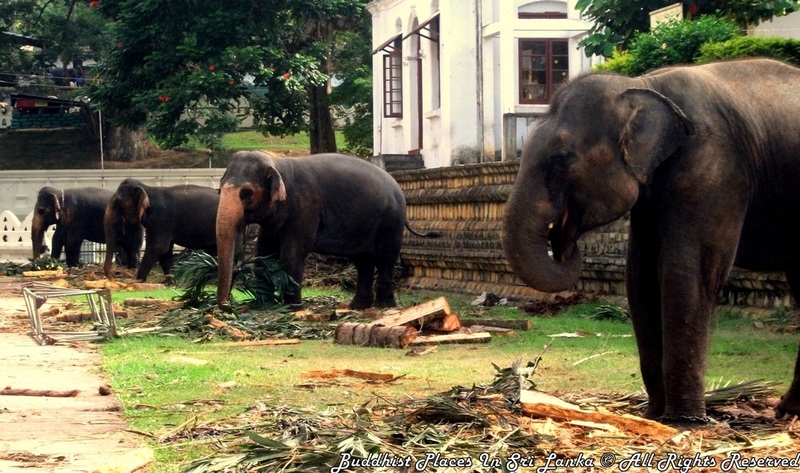 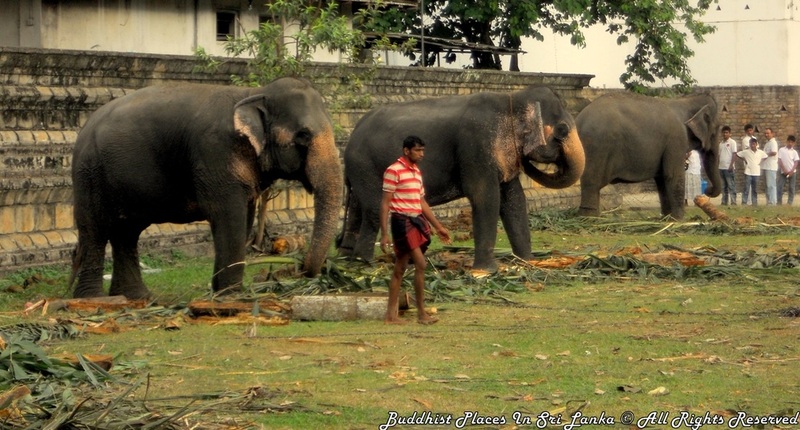 He was able take the Tooth Relic to a safe location at Madamahanuvara in the hills enveloped with thick forest cover. 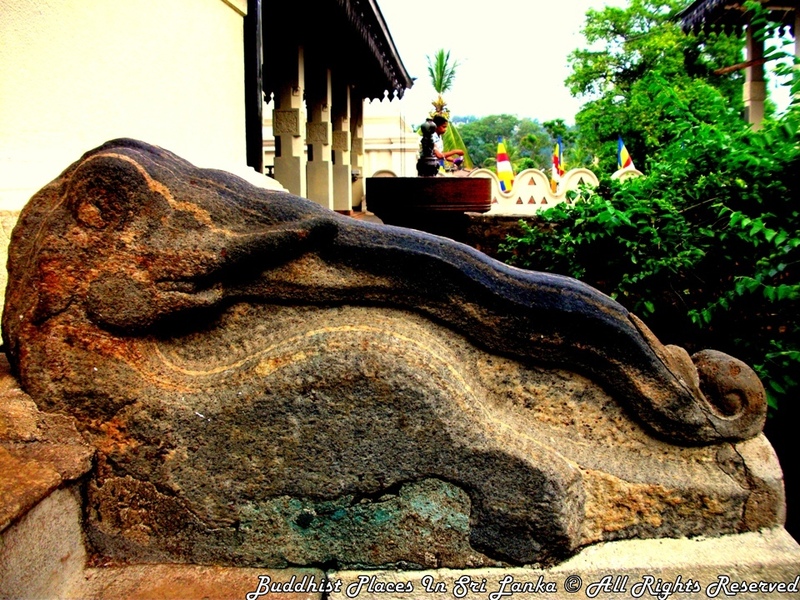 Even under these difficult conditions, king Senarat was able to give due honor to the sacred Tooth Relic by placing it in a suitable shrine. 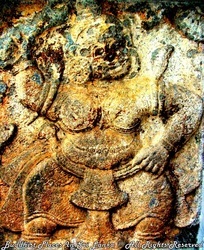 Rajasimha II (1634 – 1686) succeeded king Senarat. 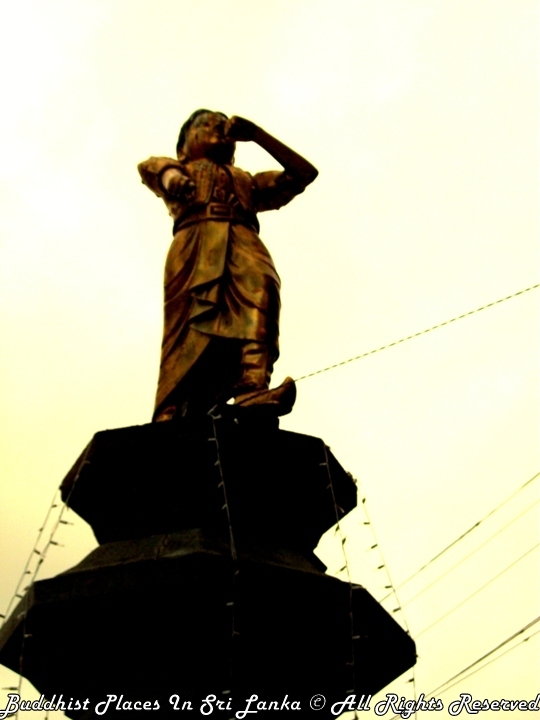 As the Portuguese interference in local political affairs was intensified, Rajasimha sought the aid of the Dutch to circumvent the situation. 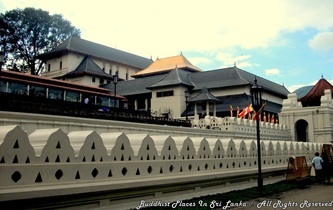 This action did not meet the approval of the people and a chaotic situation arose again, even to the extent of ceasing the holding of the annual Tooth Relic festival and the king leaving the palace. However he was able to rebuild the sacred Tooth Relic shrine into a two-storied structure and place the Tooth Relic therein. 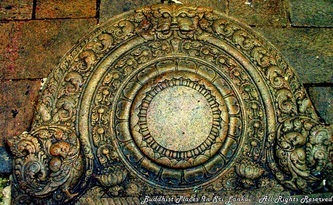 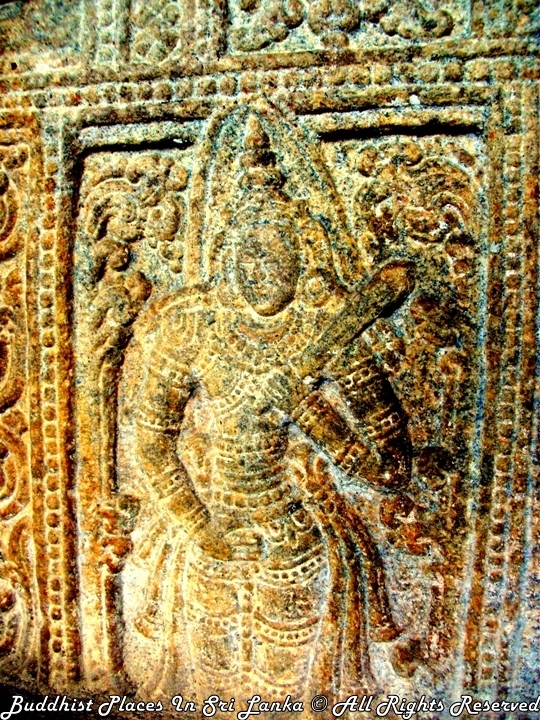 After Rajasimha II, Vimaladharmasuriya II (1686 – 1706) occupied the throne. He was a peace-loving ruler and was able to maintain harmonious relations with the Dutch and attend to many religious activities. 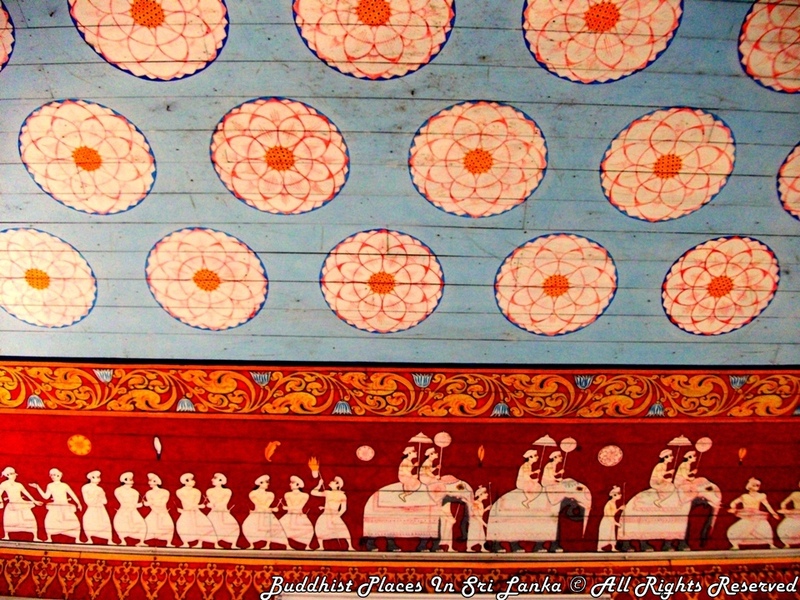 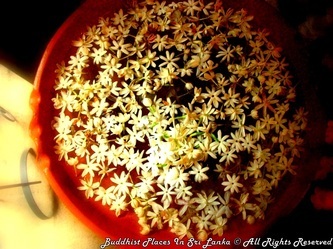 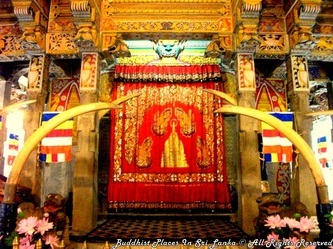 The higher ordination of monks was re-established with the help of Burmese monks. 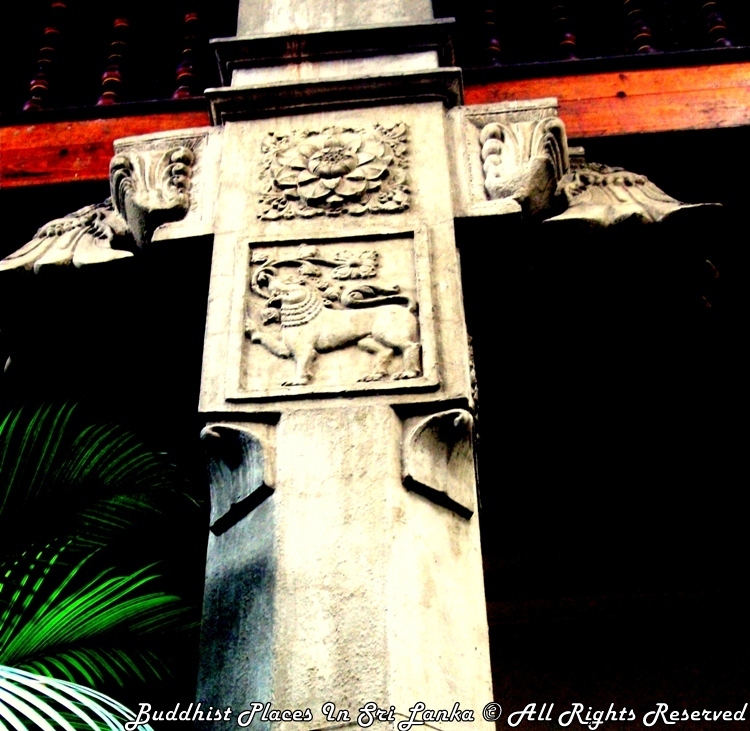 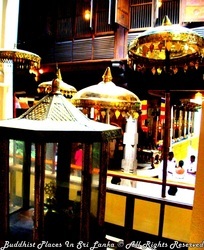 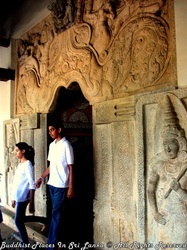 He built a new three-storied Relic House for the sacred Tooth Relic. This probably constitutes the structure shown in front in the Dutch Plan of 1765. 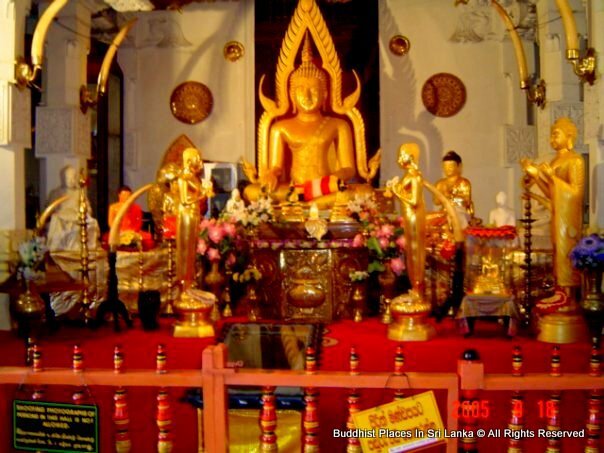 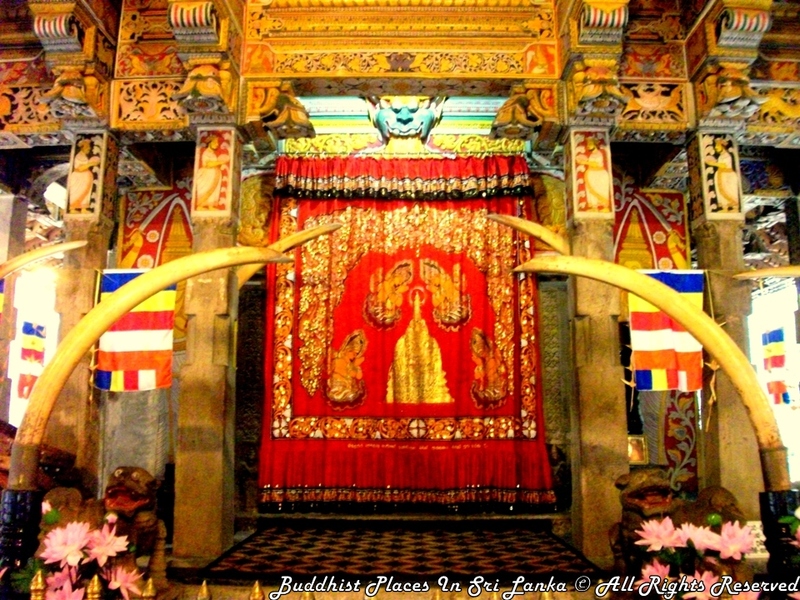 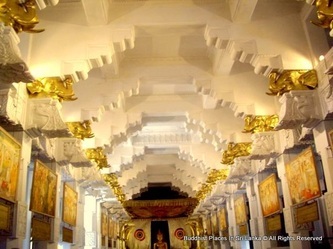 The king is also credited with the preparation of a grand golden casket for the sacred Tooth Relic and he held great festivities and rituals in honor of the sacred Tooth of the Buddha. 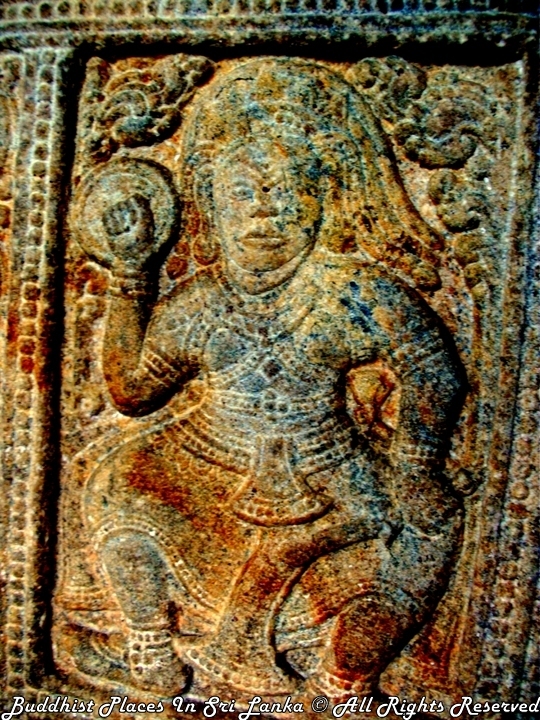 Next in line of the ruling house was King Viraparakrama Narendrasimha (1707 – 1739). 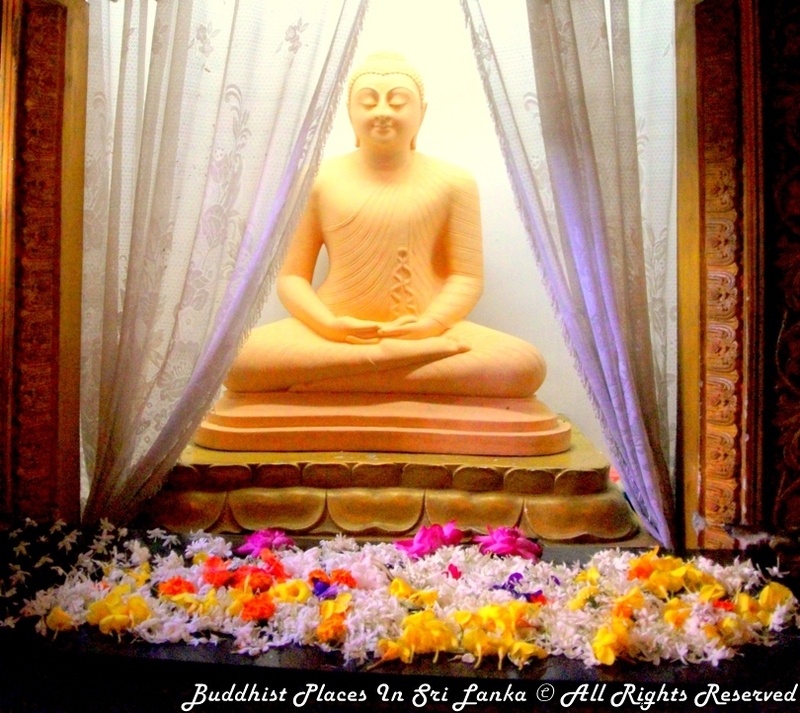 He was the last Sinhalese king of a long line of rulers and is credited with the protection of the sacred Tooth Relic and ritual honors accorded to the Relic. 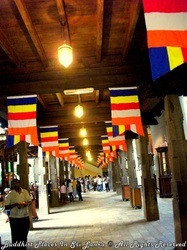 He rebuilt the Tooth Relic shrine making it two-storied. 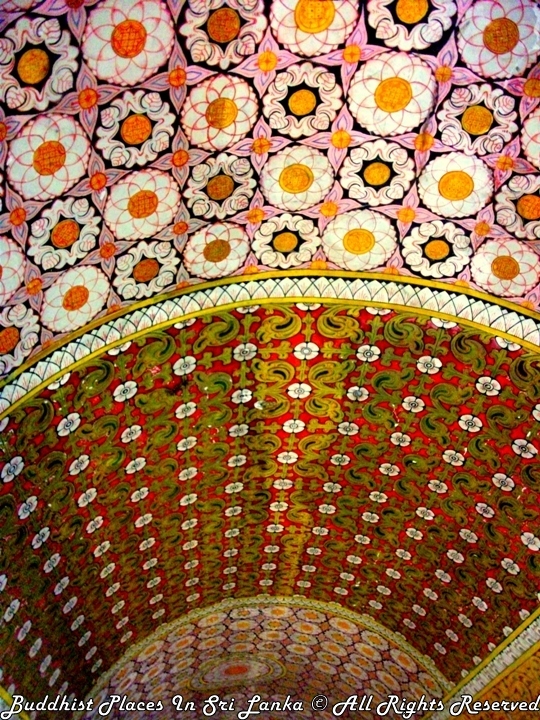 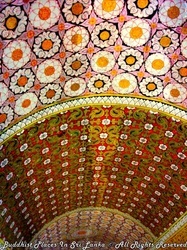 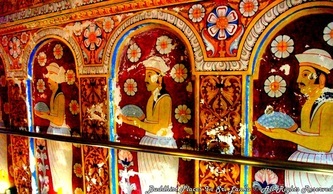 The chronicle provides a graphic description of the decoration of the shrine with murals of jatakas, etc. At the recent bomb blast of the Tamil Tigers, amidst destruction and devastation of the Dalada Maligava premises, the structure of this shrine known as Vadahitina Maligava was miraculously saved. 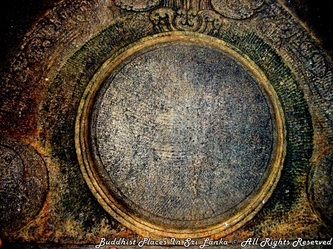 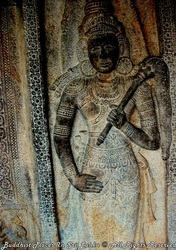 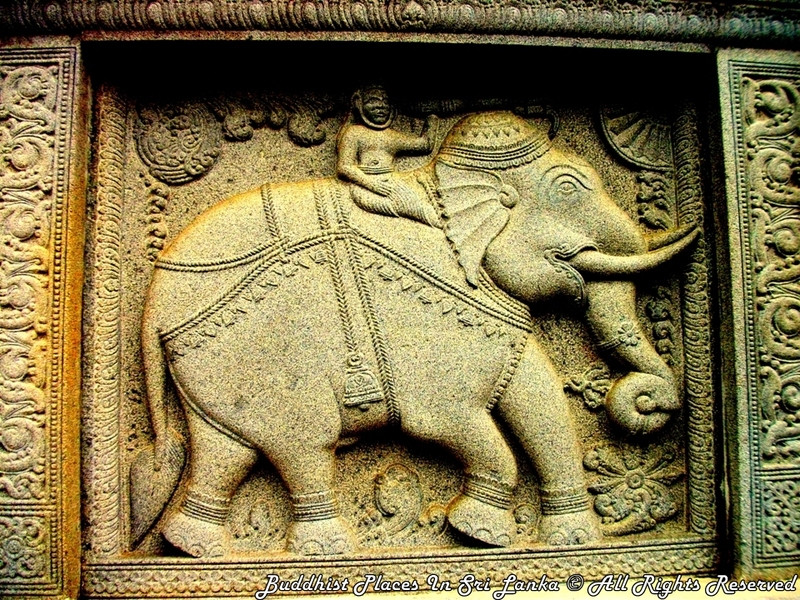 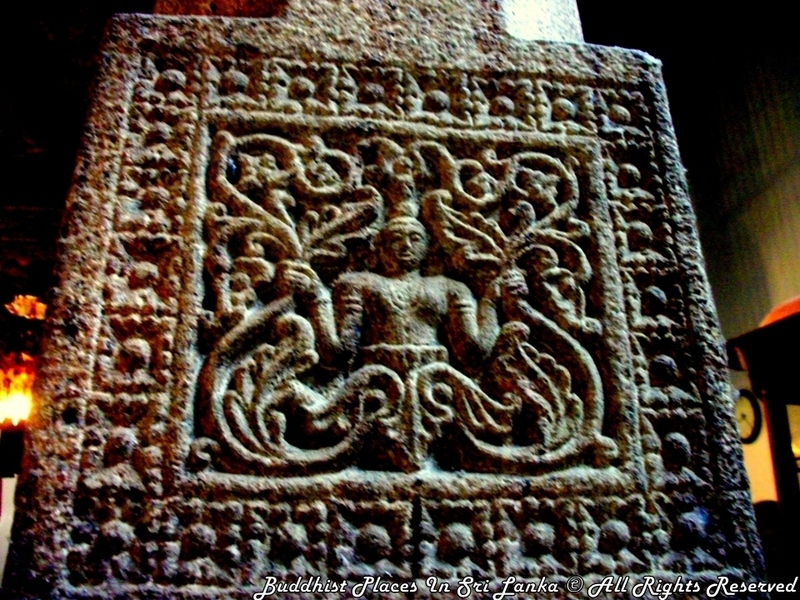 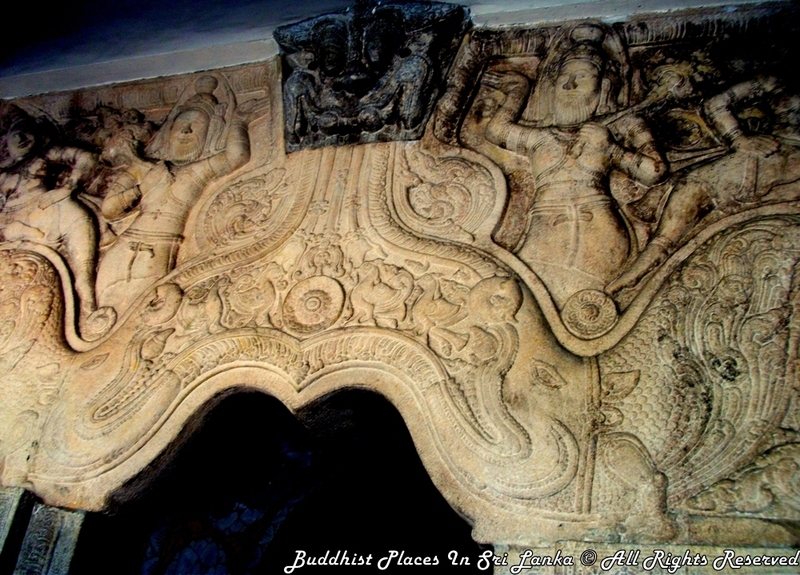 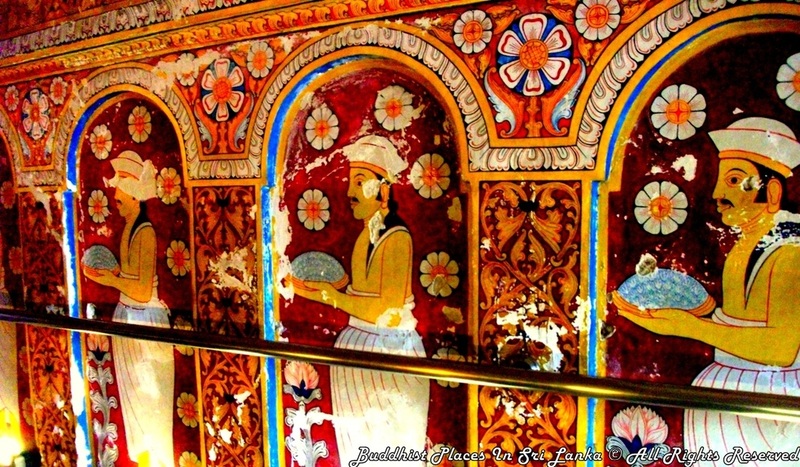 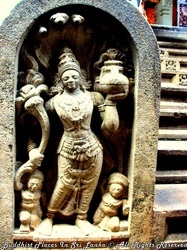 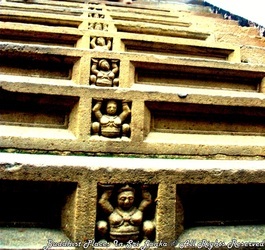 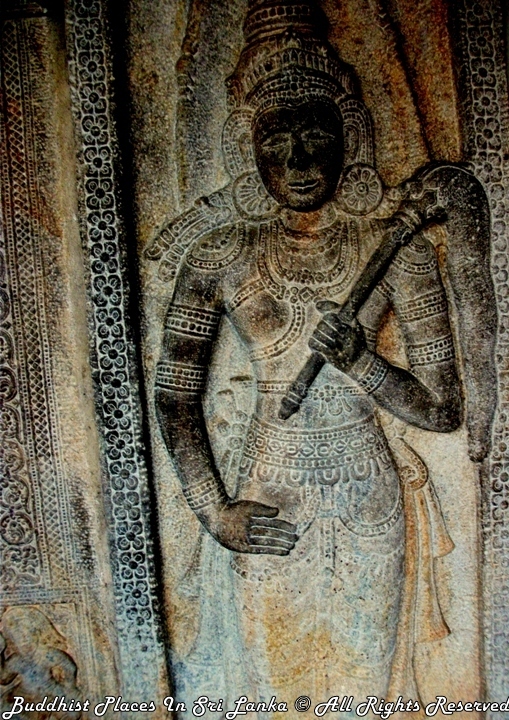 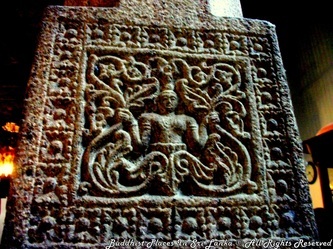 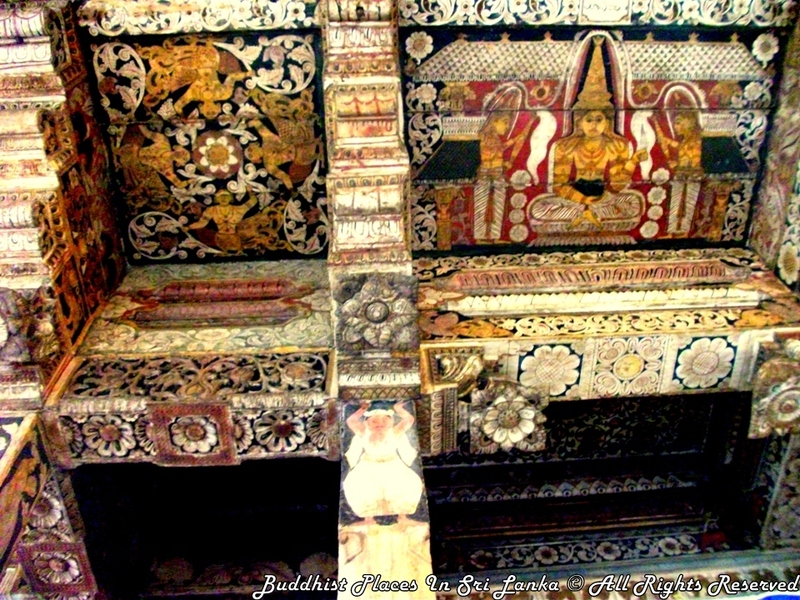 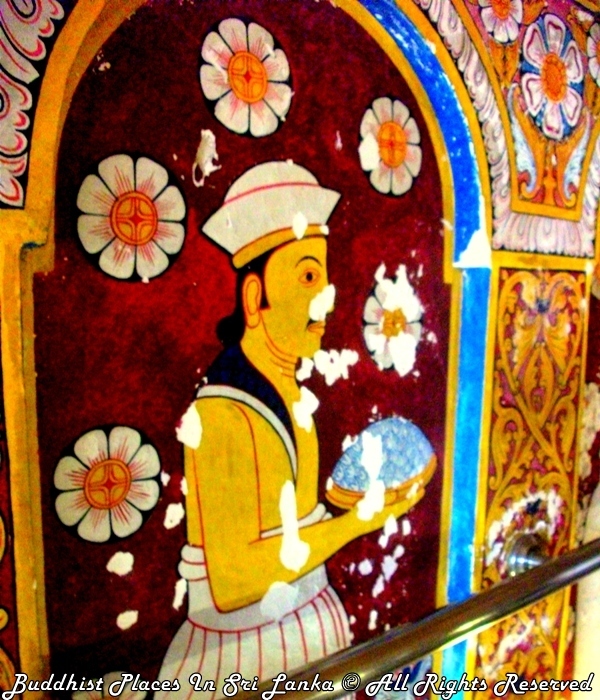 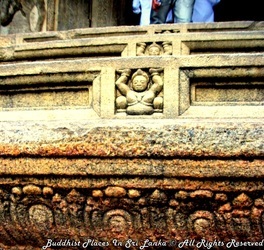 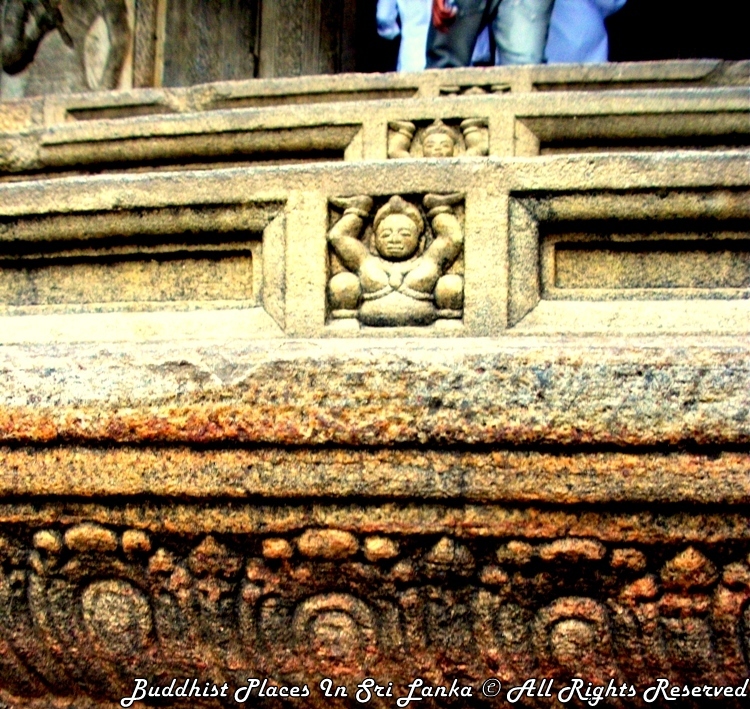 The falling off of the top plaster of some parts of the walls of the inner shrine has revealed some of the original murals that would belong to the re-builder of the shrine, Narendrasimha. 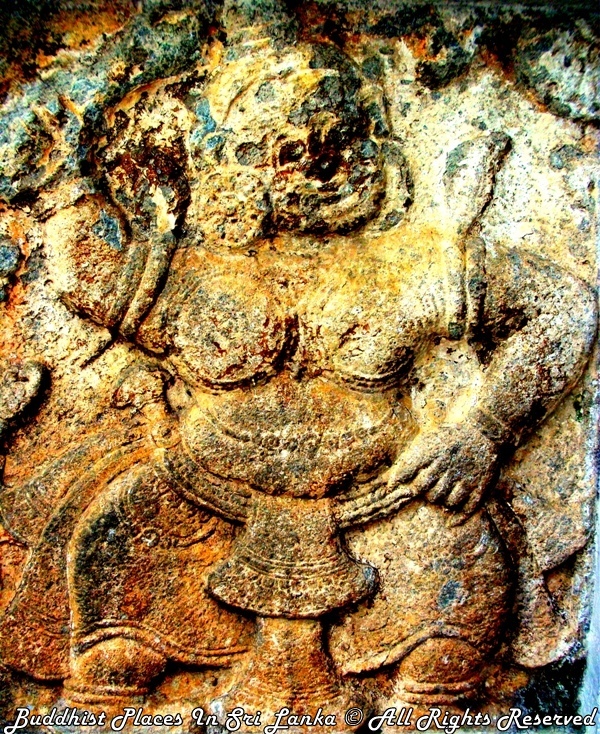 The next ruler was Sri Vijaya Rajasimha (1738 – 1746) of South Indian Nayakkar origin, who became converted to Buddhism under the influence of Venerable Valvita Saranankara. 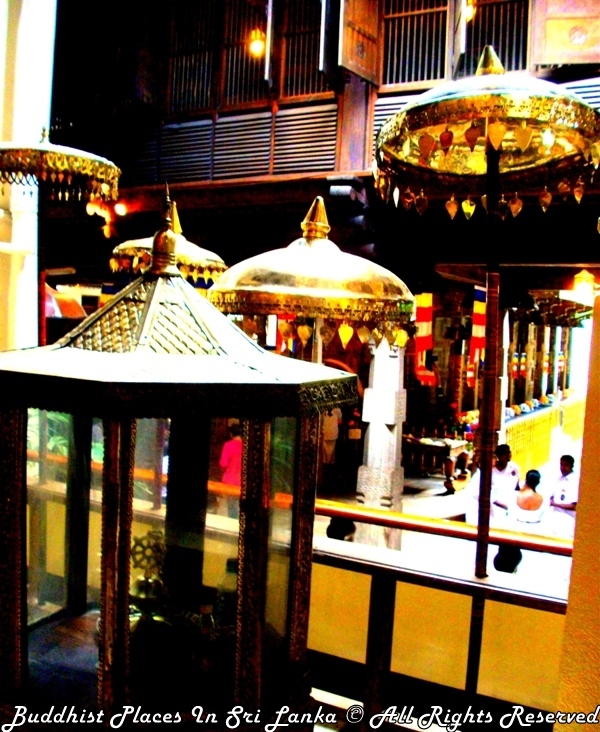 He was recorded in the Chronicle, Mahavamsa, as having opened the relic casket and seen the sacred Tooth Relic with his own eyes. 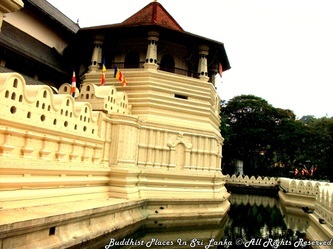 With this incident, the king went into raptures and held a ceremony for the sacred Tooth Relic, surpassing all other festivities held in the past. 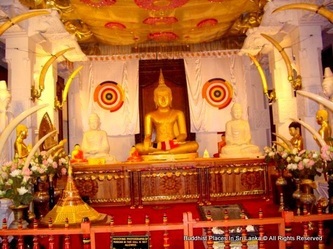 The second Nayakkar ruler was King Kirti Sri Rajasimha (1746 – 1779).He was able to get down monks from Siam (Thailand) under the leadership of Venrable Upali, to hold the Higher Ordination ceremony of the novices including Venerable Welivita Saranankara, who later was declared the Chief Sanghanayaka (Sangharaja) of the Malvatta Chapter. 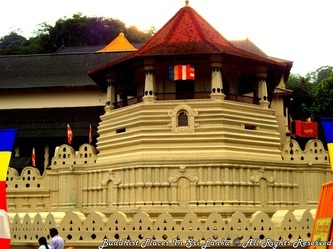 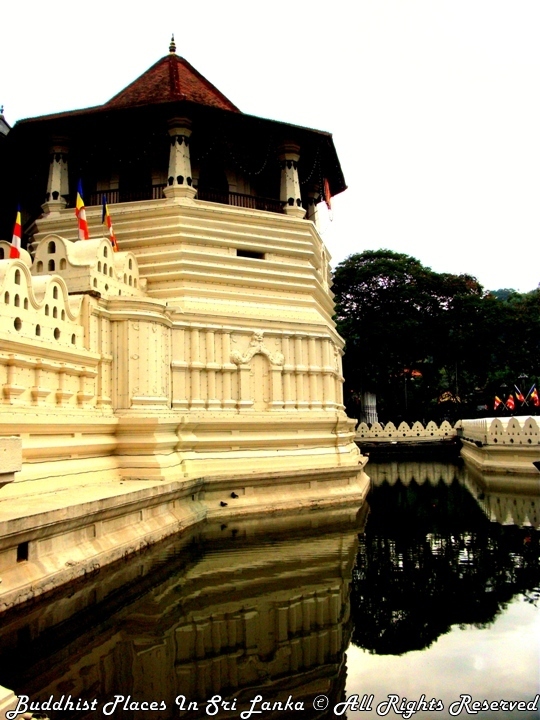 King Kirti Sri remains the greatest benefactor of the sacred Tooth Relic. 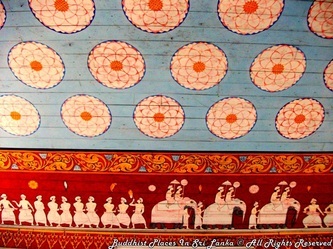 Many festivities and rituals were instituted by him, including the addition of the Dalada Procession to the end of Esala festival, which was at the time confined only to the four Devales of Natha, Visnu, Kataragma and Pattini. The external interference in local politics resulted in the invasion of Kandy by the Dutch and the Sinhalese seeking the aid of the British, who had already engaged themselves in the maritime trade. For about an year, the Tooth Relic was hidden away in the hills in safter sites. 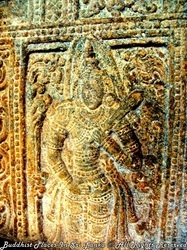 The king too fled to Hanguranketa. Finally, the Tooth Relic was brought back to Kandy and placed in the shrine with much veneration and ritual worship was commenced. 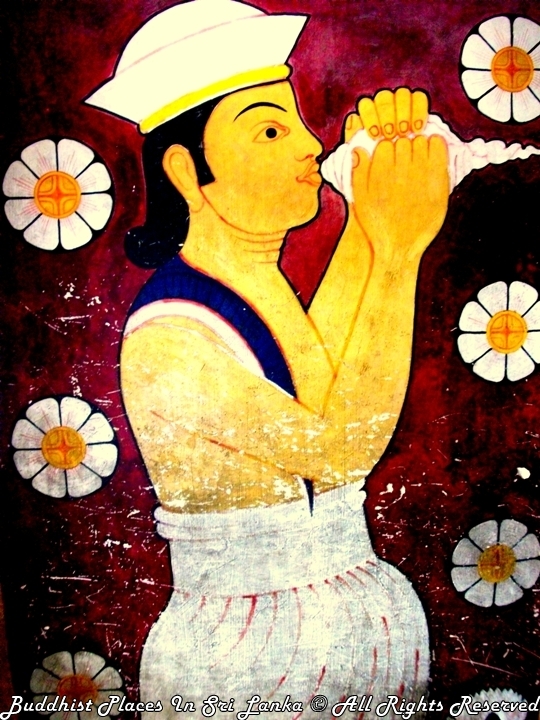 Thereafter, the third Nayakkar, Rajadhi Rajasimha (1779 – 1787) became king. 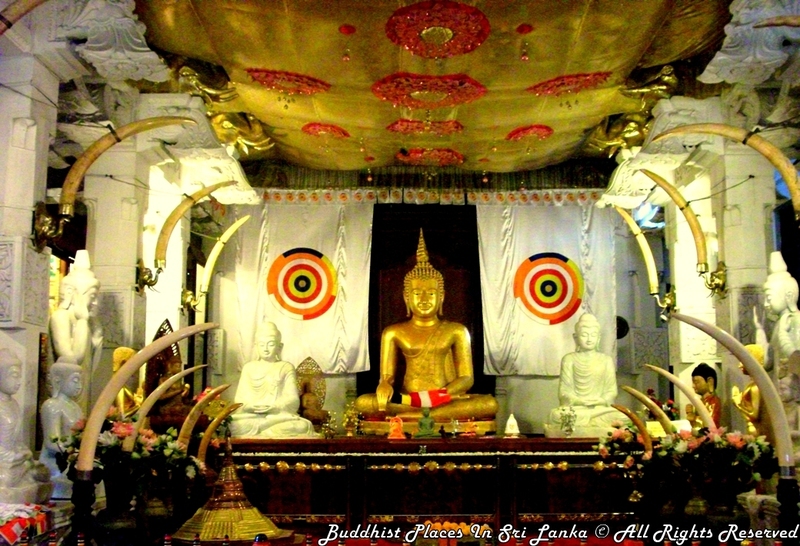 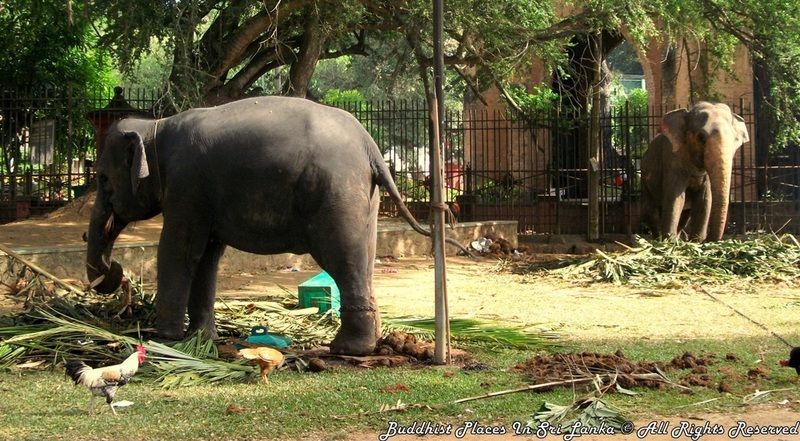 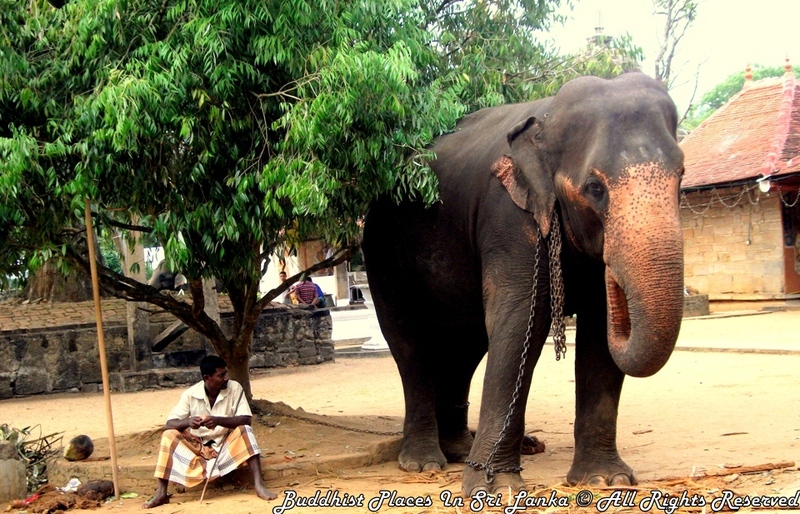 Being a devoted Buddhist, he too continued the ritual worship connected with the sacred Tooth Relic. 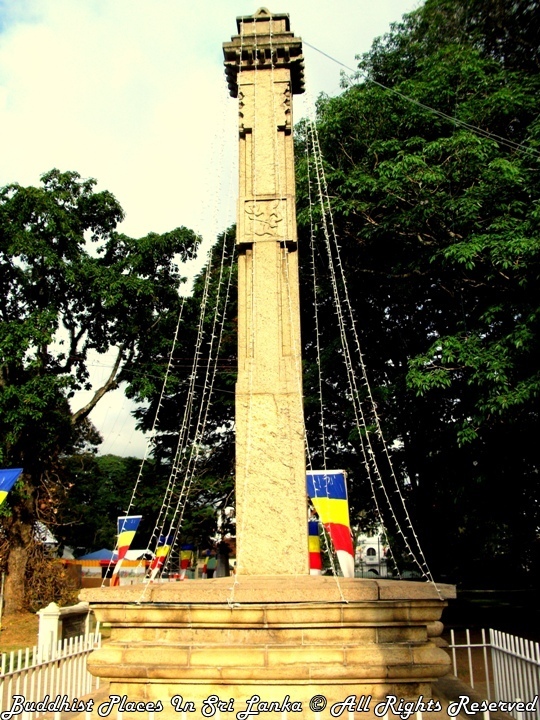 It was at this time the two European powers, the Dutch and the British, were enhancing their struggle for supremacy over the island. At this moment, the last king of the Sri Lankan ruling house, Sri Vikrama Rajasimha, (1797 – 1815) also a South Indian Nayakkar, occupied the throne. 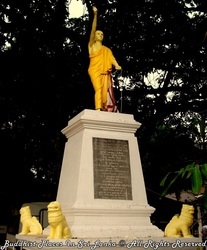 His short period ended with the occupation of the island by the British in 1815. Under the prevailing calamitous situations, the Buddhist monks were able to take away the Tooth Relic to many safer locations. 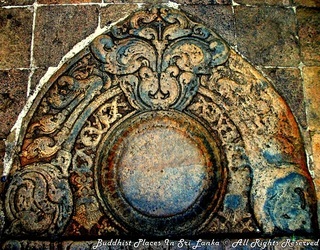 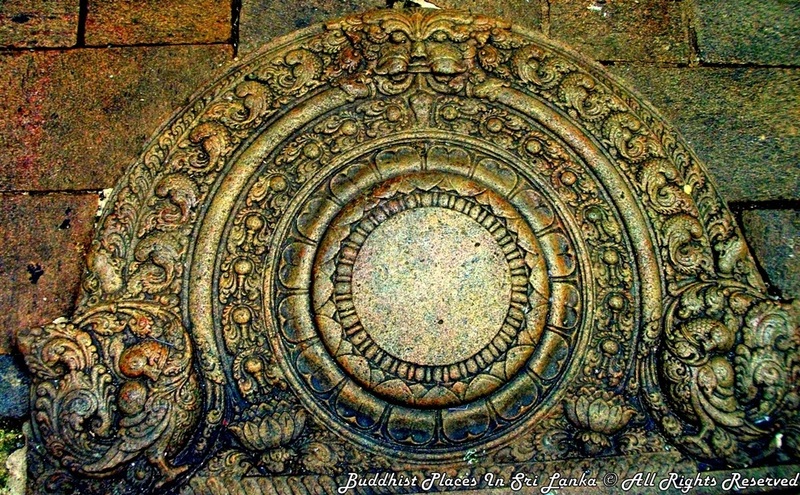 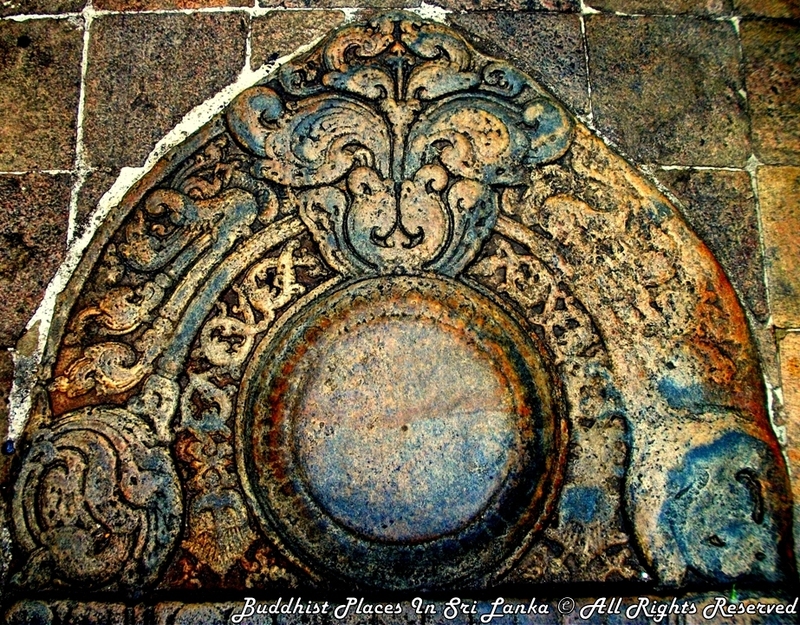 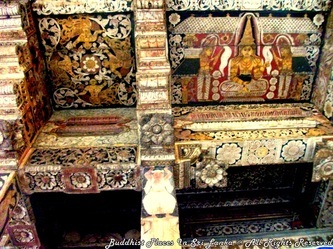 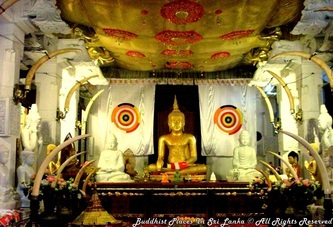 The British Governor at the time was Robert Brownrig who showed some keenness to safeguard the religious activities of the Buddhists, particularly those connected with the sacred Tooth Relic. 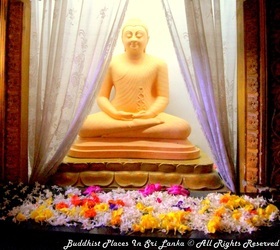 The Britishers had realized the importance of the Tooth Relic to the natives, and therefore, did their best to please the Buddhists by showing much munificence to the worship of the sacred Tooth Relic. 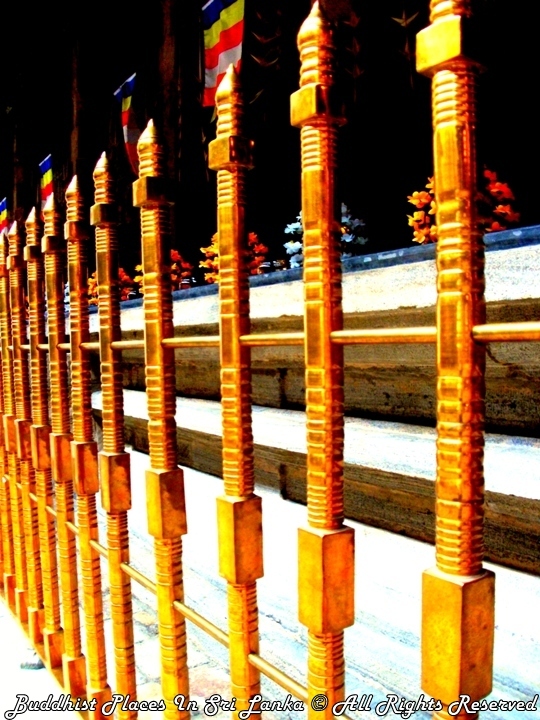 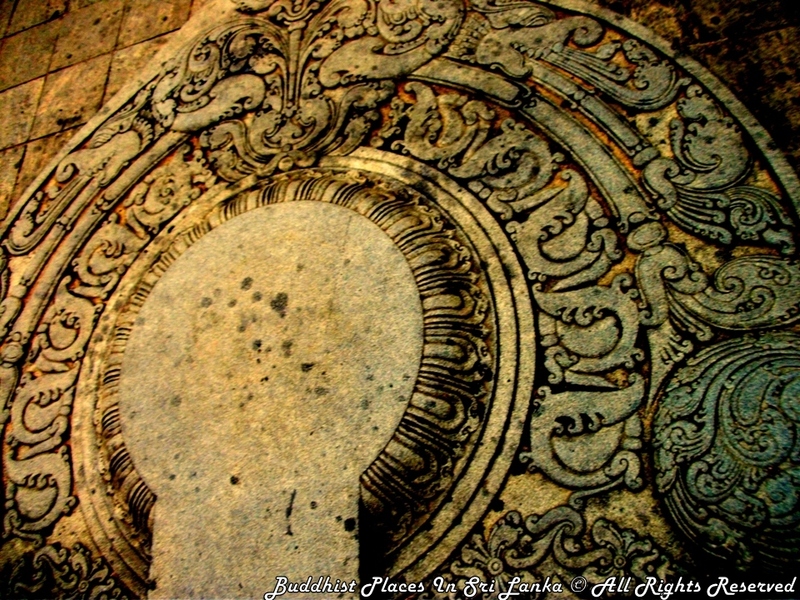 They too seemed to have realized the value of the Tooth Relic as the palladium of kingship. 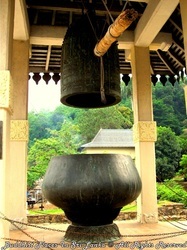 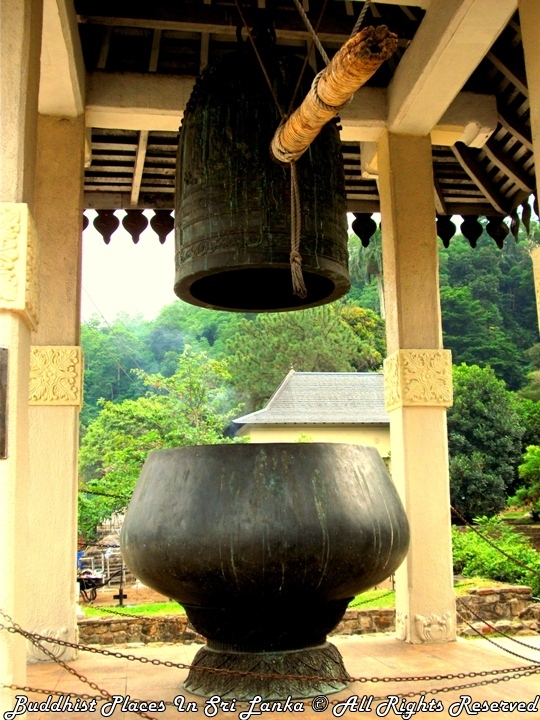 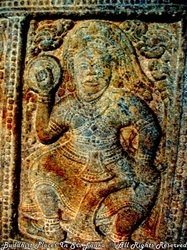 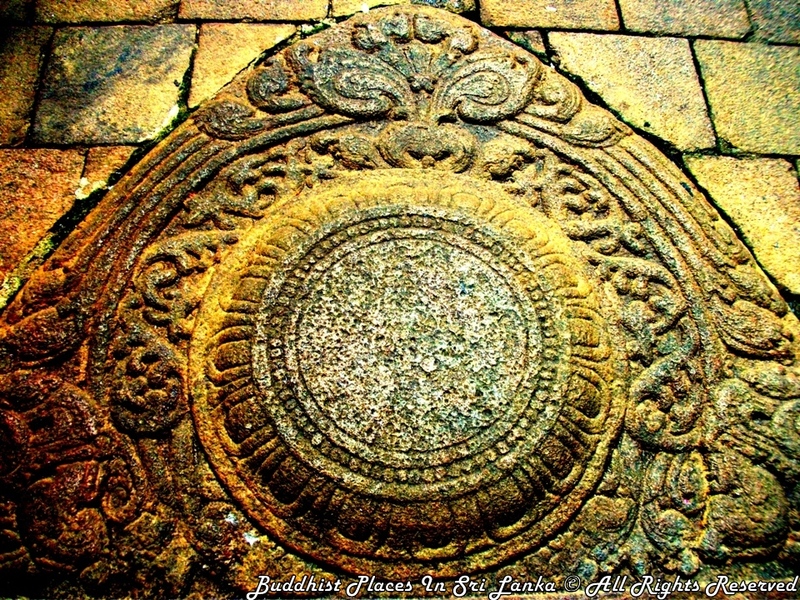 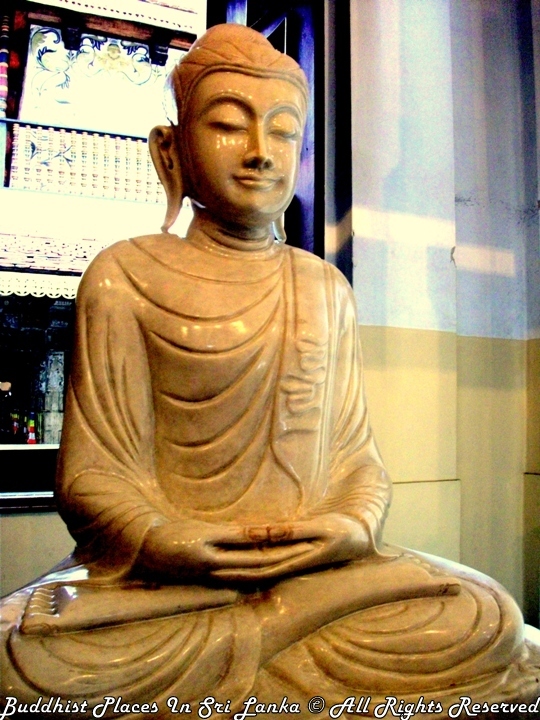 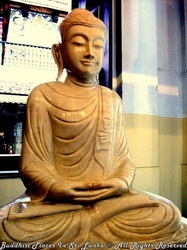 John D'Oyly, who was in charge of Kandy at the time, was originally averse to Buddhists under the Governor Maitland, but subsequently under the influence of Governor Brownrig, played a friendly role towards the Buddhist religion. 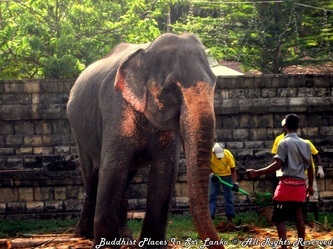 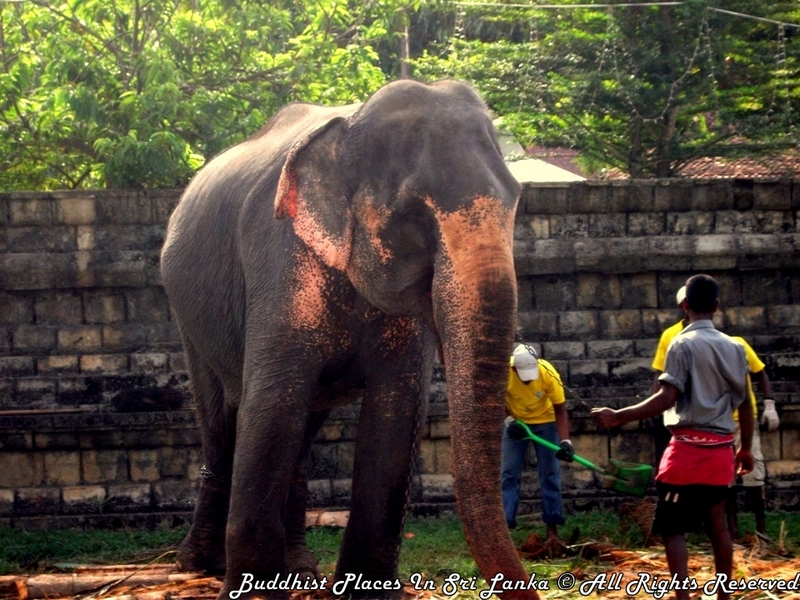 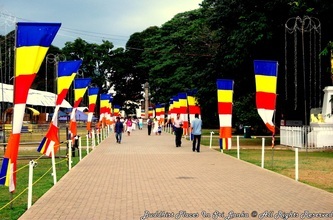 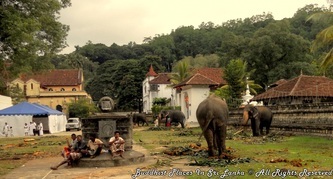 Elaborate preparations in the form of festive celebrations and even processions were performed with a view to receiving the sacred Tooth Relic back in the Dalada shrine in Kandy. 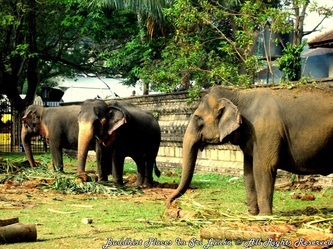 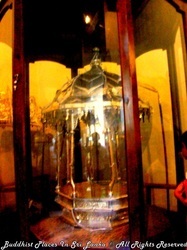 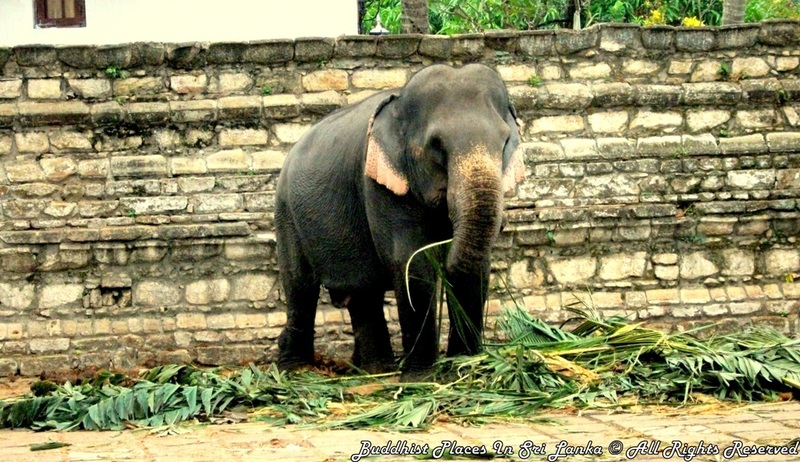 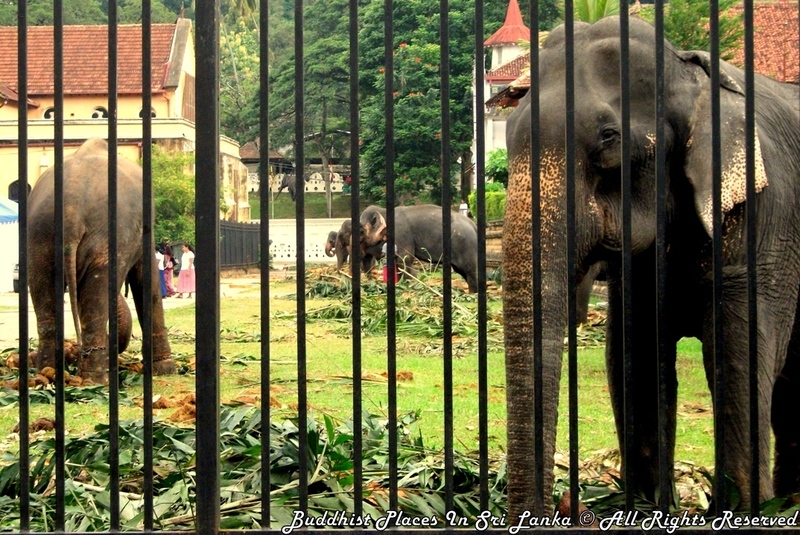 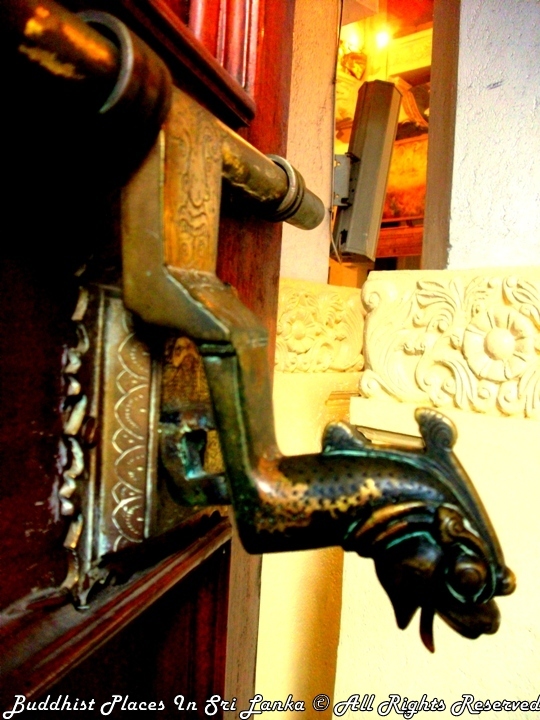 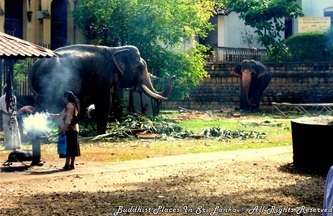 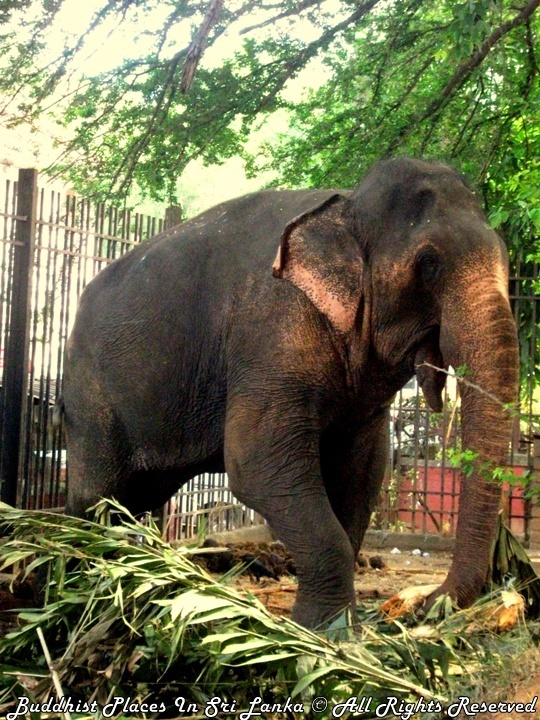 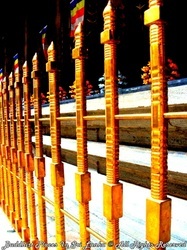 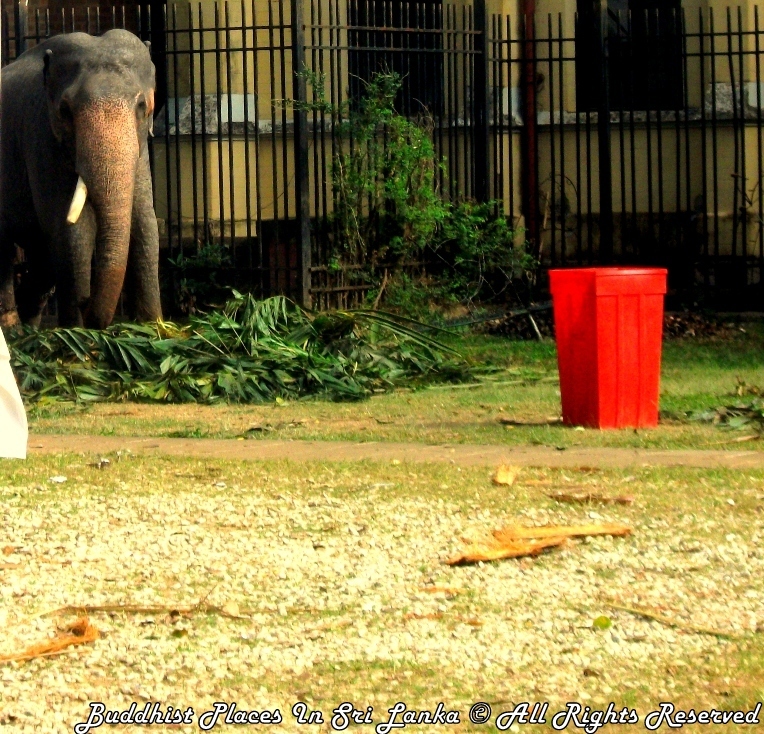 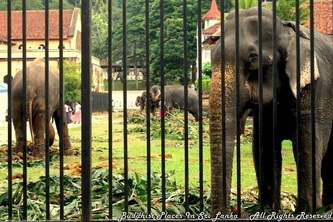 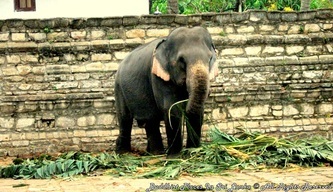 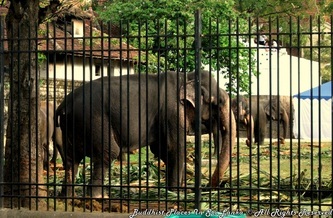 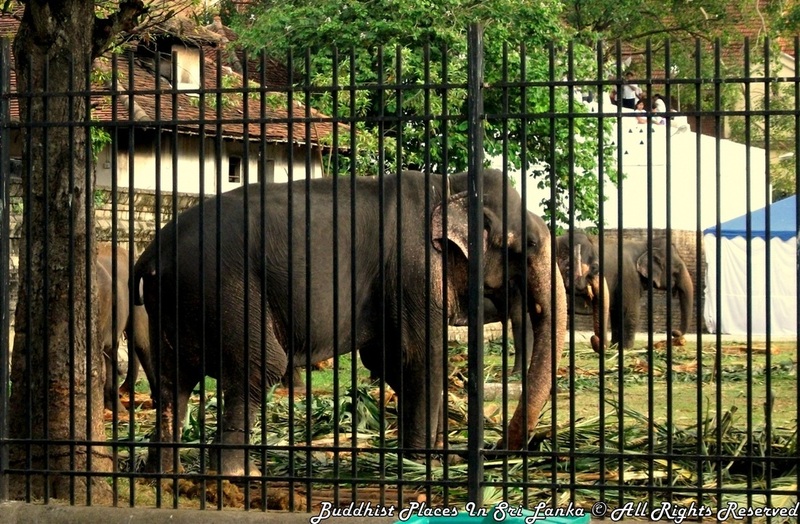 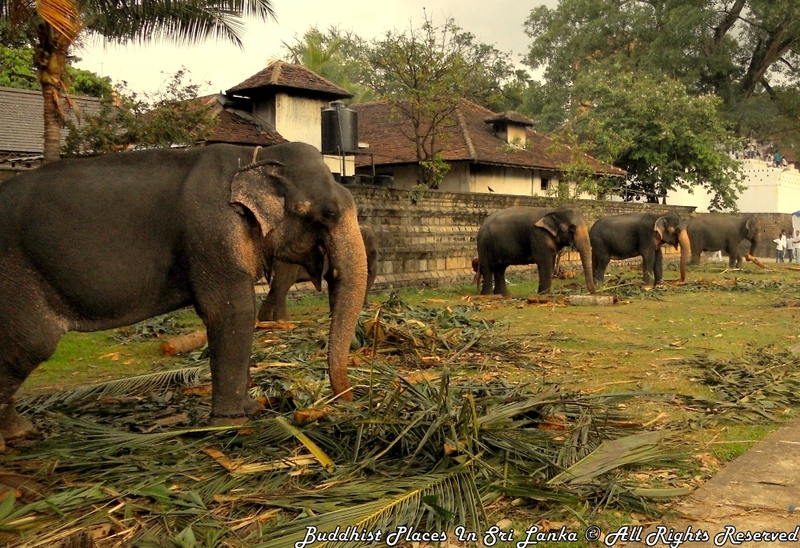 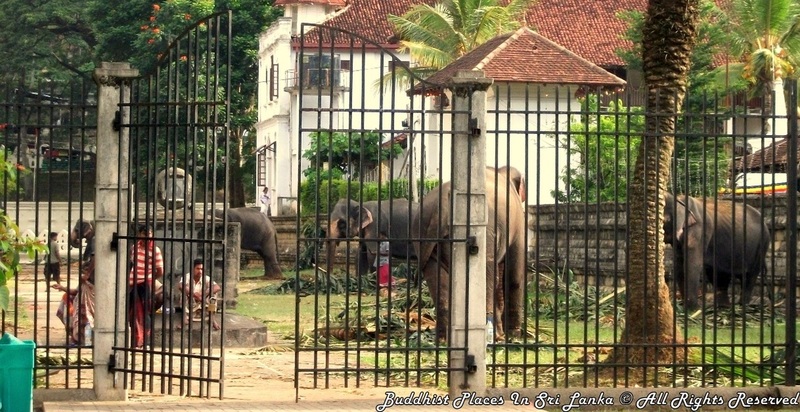 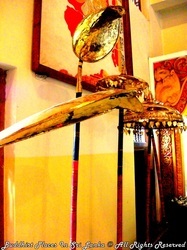 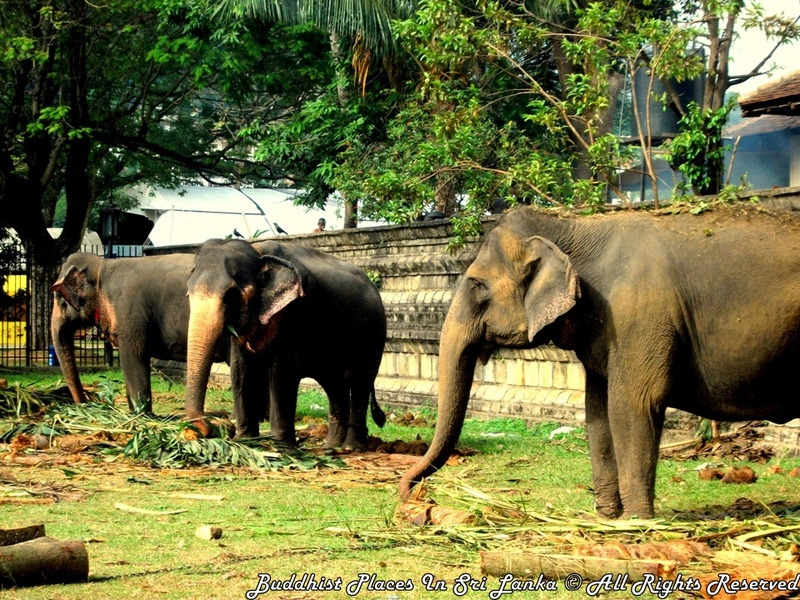 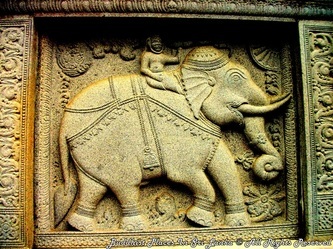 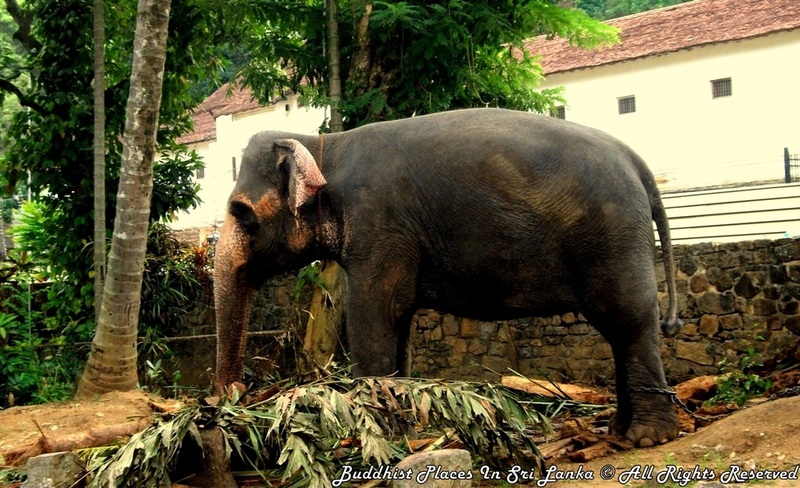 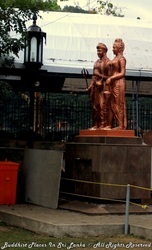 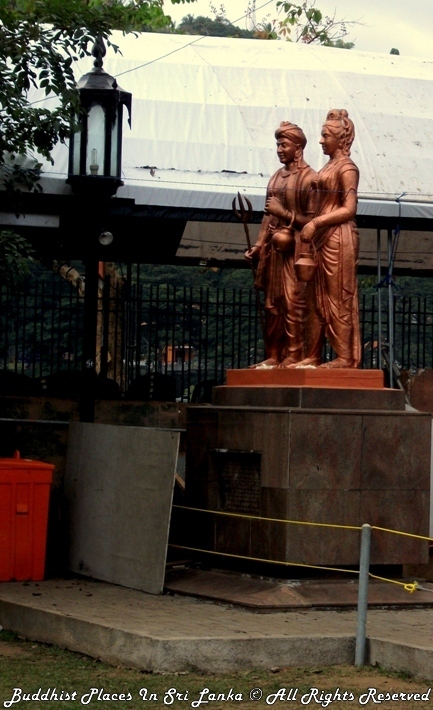 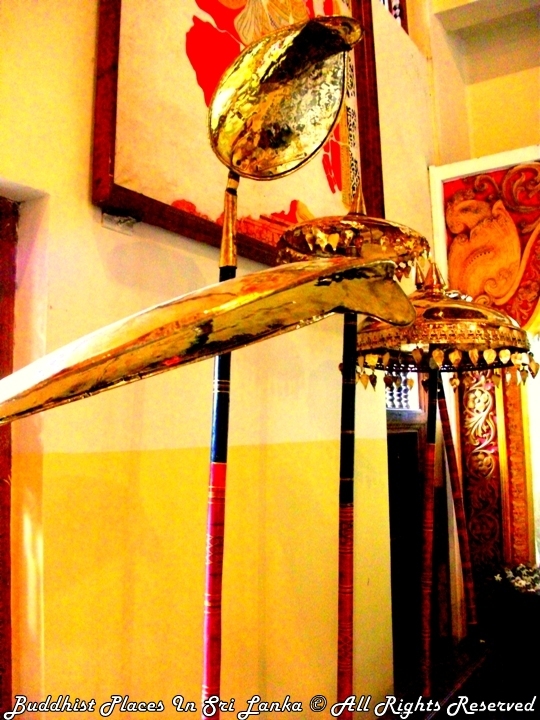 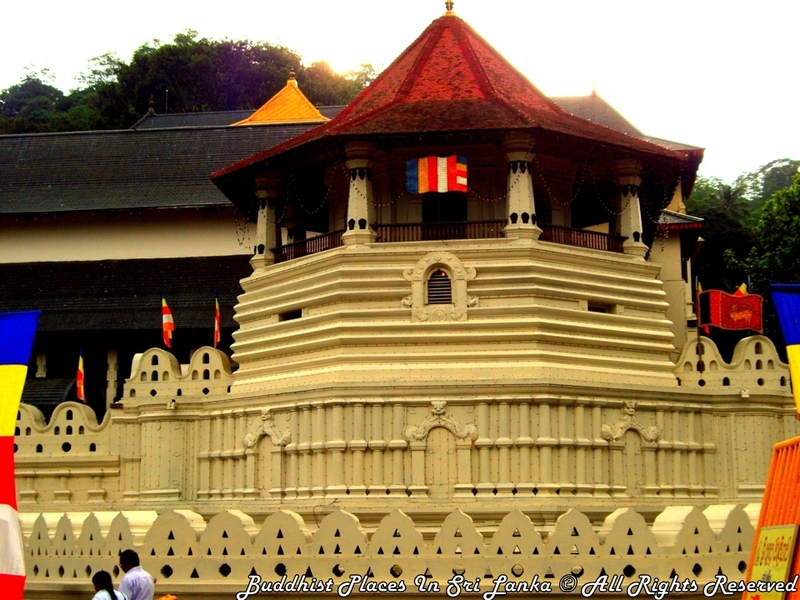 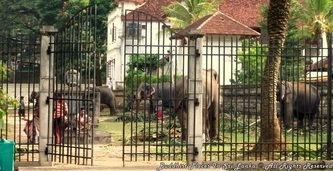 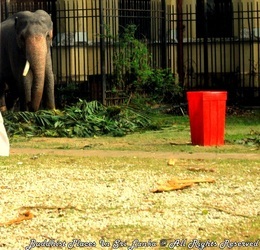 During this period, the Tooth Relic had been moved to several locations such as Bamabaratala, Talagune and Madivaka viharas and the jungles of Bintanna, the country of the Vaddahs, and after the cessation of hostilities to some extent, the Tooth Relic was brought to a location closer to Kandy. 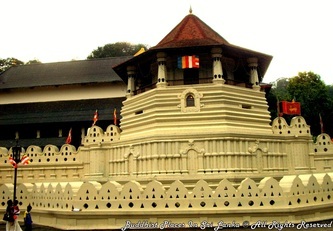 Finally, with the help of the Chief Adigar, Ahalepola and chief prelates of both Malvatta and Asgiriya Chapters, the Tooth Relic was taken to its final resting place at Hindagala to Kandy with ceremonial processions arranged with the collaboration of British regiments who themselves marched in the Dalada procession. 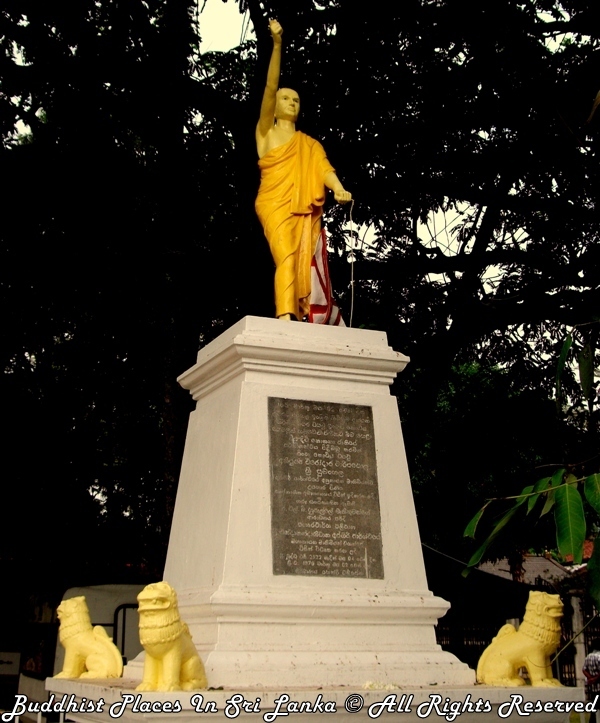 The Britishers faced yet another uprising of the Sinhalese led by Kapptipola in 1818 in the Uva Province. 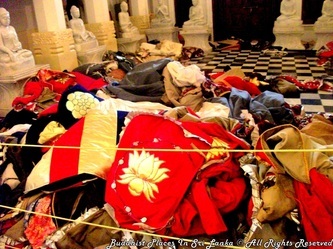 The Kandyans were again plunged into a bloody war situation. 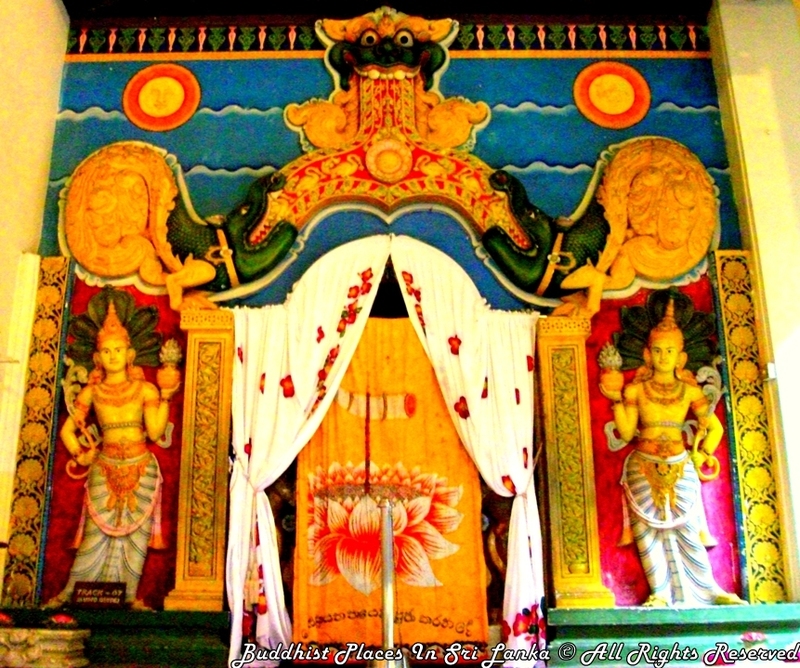 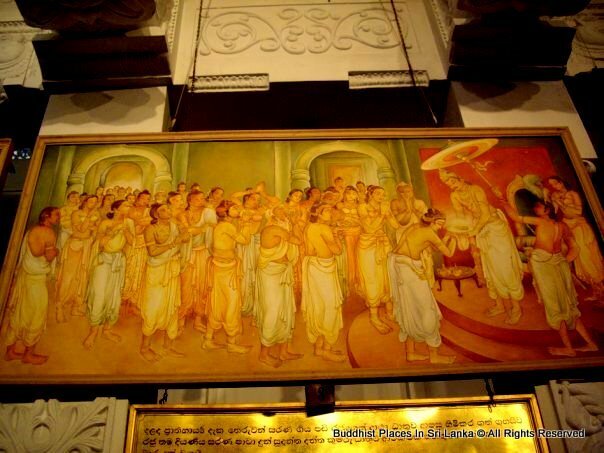 In these circumastances, the sacred Tooth Relic was taken away secretly to Hanguranketha by the monk engaged in the daily service (Tevava) of the Relic. 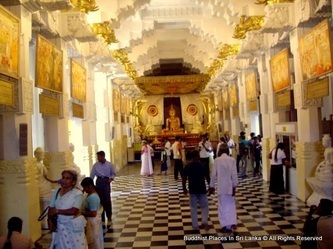 The uprising was finally quelled and the sacred Tooth Relic was redeposited in the present Dalada shrine and all religious services reinstated, including the holding of daily service and the annual procession.